It is to believe now what a scandalous figure Ingrid Bergman was in 1950. The Kristen Stewarts and Lindsay Lohans of today should bow down to Bergman, both in recognition of her vastly superior talent and in gratitude for all the heat she took, helping normalize their chaotic private lives in the years to come. It was a profoundly difficult time for Bergman, but she never stopped being a grand movie star. 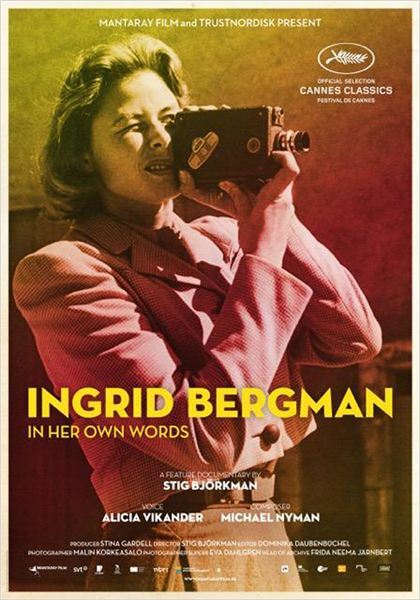 To commemorate her centennial, Bergman tells her own story through home movies, private letters, and the diaries she kept nearly her entire life in Stig Björkman’s Ingrid Bergman in Her Own Words (trailer here), which screens as part of the Spotlight on Documentary section of the 53rd New York Film Festival. Björkman immediately establishes how deeply unhappy Bergman’s early childhood years truly were. Her mother died before she ever really knew her and her beloved father passed away when she was only twelve. Subsequently, her caretaker maiden aunt also died not long after taking her in. Although Björkman and some of Bergman’s children speculate Bergman sought to find the love and acceptance she longed for as a child through her acting career, many viewers will just figure she deserved a break during the Rossellini-Magnani “War of the Volcanoes” feeding frenzy. Björkman chronicles her career as an extra beaming out crowd scenes, her initial Swedish success, the Hollywood glory years, her difficult collaborations with her second husband Roberto Rossellini, and her triumphant return to America cinema. She may well be the only screen thesp who worked with Alfred Hitchcock, Ingmar Bergman, Jean Renoir, George Cukor, and of course, Rossellini. It also shows how some films appreciate over time, whereas others depreciate critically. Bergman won an Oscar for Sidney Lumet’s Murder on the Orient Express (her third), but it gets scant mention here. While Björkman worked closely with Isabella, Ingrid, and Roberto Rossellini, Bergman’s three adoring grown children with Rossellini père, he still assembles a remarkably balanced profile. Arguably, the most revealing interview segments are with Bergman’s eldest daughter, former New York arts correspondent Pia Lindström. It is not that she is critical or resentful, but she clearly has a more complex and nuanced perspective on the mother she rarely saw during her formative years. Much of the archival photos and video of Bergman is quite stunning. This is Ingrid Bergman, the woman millions of people start each New Year with as part of the annual Casablanca re-watching tradition, enjoying family celebrations in their Italian villa or jockeying for the camera’s attention as a young drama student in Stockholm. Yet, she has the same look that tormented Bogart and seduced Cary Grant. Somehow Björkman nimbly walks the fine line, crafting a balanced enough portrait to avoid charges of white-wash, while sufficiently capturing his subject’s charm and warmth to satisfy her family. It is also worth noting, Alicia Vikander, the current Swedish toast of Hollywood, narrates the extracts from Bergman’s journals and correspondence, which probably resonate with tremendous meaning and irony for her. 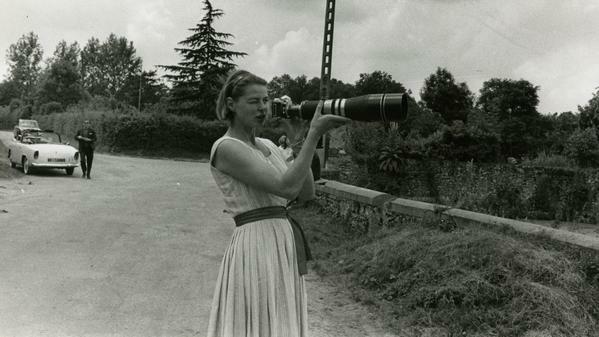 Regardless, Ingrid Bergman in Her Own Words is an intimate but classy doc that should well please her fans when it screens this coming Monday (10/5) at the Walter Reade and Tuesday (10/6) at the Gilman, as part of this year’s NYFF.